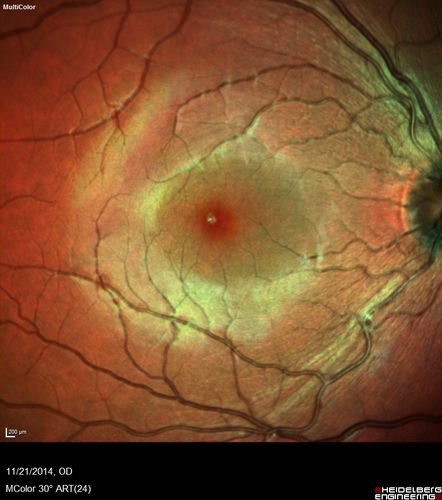 Patient presented in 2014 (first images) 2 months following vision loss left eye. Vision went from 20/60 - 20/20. OCT showed outer retinal irregularities which normalized. Then 3 years later in 2017 she had full blown MEWDS. She presented acutely and all the images are typical. Both episodes where in the same time of year, about 3 months after her flu shot for sports.